Uttarakhand chardham offer you here Gangotri yatra. Gangotri is one of the source sources of Holy River Ganga and one of the significant Char Dham pilgrimage in Hindu Religion. The main source of the river is “Gaumukh” which is a glacier located 19 km left from Gangotri shrine. Ganga River is the longest and most holy river in world. The Gangotri temple opens on the favorable day of Akshay Tritiya which falls in the month of May and close down on Yama Dwitiya or Bhai Duj which spray in the month of November. 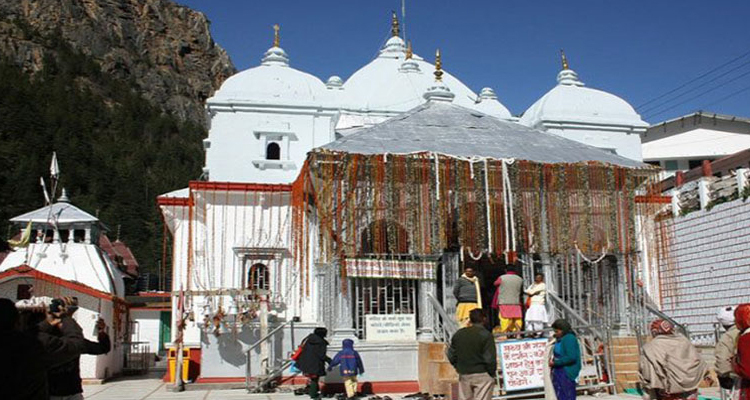 Gangotri temple remains congested for the rest of the six months when the deity is worshipped at Mukhwa, near Harsil. There are the many shops many ashrams where be the localities and they permute very well Gangotri yatra. The hallowed stone near the temple denote the place where Ganga first came behind to earth. This is why Ganga is as well called by the name of Bhagirathi. For your Gangotri Yatra 2019 Delhi to Delhi call us we will serve you our best services. Destination: Delhi- Roorkee-Haridwar- Uttarkashi- Gangotri. On you coming at the Delhi international airport, our representatives will get you. From present, you will leave for Haridwar by road. After attainment there, you will check into the hotel and fresh up a bit. Evening will be spent in presence the Arti at Har-ki-Paudi. Night stay will be at the Haridwar hotel only. Early morning, Drive haridwar to Uttarkashi. Uttarkashi located at the bank of river Bhagirathi. The temple of Lord Vishwanath is situated here where a huge iron trident is erected. Check in an overnight stay at uttarkashi Hotel. Uttarkashi Early morning after breakfast drive to Gangotri with packed lunch. On arrival take a sacred dip in the River sacred. The Ganga also called Bhagirathi at its origin. Perform Pooja following that and relax for a little bit in the lovely surrounds. Return to Uttarkashi for nighttime stay. Dinner at Uttarkashi. Early morning after breakfast drive to Haridwar. Enjoy Tehri lake tour. Lunch enrooted... Dinner overnight stay Hotel in Haridwar. After a leisurely breakfast you will be transfer to New Delhi. We hope you take back happy memories of Gangotri Yatra.